After EP-length sets, multi-genre tributes, and rock/blues/pop artists turned folk for coverage, we close out our four-part series on this year’s mid-year tributes and compilations with a potent pair of decidedly folk albums paying apt tribute to the works of Bruce Springsteen and The Replacements. Enjoy! Nebraska, the seminal album that proved Springsteen was more than just an anthemic pop rocker, has been done in full before. But it’s the 30th anniversary of the sparse, haunting demo-session-turned-studio-release, making another attempt nearly inevitable. And given the star power that turned out for Badlands, the turn-of-the-century tribute in question, to take it on again seems like an easy avenue to folly for all but the most skilled set of musicians. 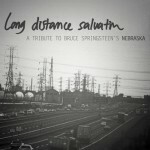 Surprisingly, however, new indie tribute Long Distance Salvation: A Tribute to Bruce Springsteen’s Nebraska is a near-perfect nod, both to the songbook itself, and to the canonical shift it represents. And this success is, in no small part, due to the collective prowess of the indiefolk craftsmen which haunt the album, whose appropriately lo-fi contributions make it a powerful product from a new generation steeped in the sounds of Springsteen as folk artist. Joe Pug, Kingsley Flood, David Wax, Strand of Oaks, The Wooden Sky, Joe Purdy, and a holy host of other post-millennial singer-songwriters come in strong, atmospheric, and truly transformative without trading away the potency of the original songbook or performances. And the album is heavy on the neo-traditional, too, with Spirit Family Reunion, Trampled By Turtles, Kingsley Flood, and a few more from the grassy/brassy sides of the indie world bringing in choice cuts which call to Springsteen’s recent Seeger sessions. As with Badlands, Long Distance Salvation goes a few tracks beyond the original album setlist, including Pink Cadillac, Shut Out The Light, and other Springsteen b-sides, leaving us with a wholesome 14 cuts total. And, as if we needed another argument to pay our dollar down, the entire project is just just 5 bucks to download, with all proceeds going to benefit Project Bread. Our highest recommendations, with tracks to follow. 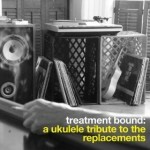 Treatment Bound: A Ukulele Tribute To The Replacements, which dropped this past week on Bar/None, is a little bit folk and a little bit MTV unplugged session, honoring the path that the mandolin, like the banjo before it, has taken as it moves into the instrumental mainstream of rock and pop in the post-millennial world. And if the concept rings a bit of those bluegrass tribute albums, rest assured that the performance transcends the easy association: Nashville music veterans, pop/rock singer-songwriters, and session musicians Tom Littlefield (Steve Earle, Todd Snider, Nanci Griffith) and Jonathan Bright, performing here as duo Bright Little Field on ukes and a drum kit made of pots and pans, share a genuine love of the punk-tinged underground rock band they pay tribute to, and it shows: though breezy and occasionally even cute, there’s something quite listenable about the tracks that appear here, with a combination of balladry and rockers that mix clean and folky, with nary a low point. We’re late twice over in celebrating Treatment Bound – the album was originally released in 2010, making this a rerelease, and arguably, it belonged in our previous feature on non-folk musicians going folk for tribute albums, thanks to the performing duo’s association with the rock and country worlds. But I just discovered it myself this week, and I gotta say, I’m loving it, in no small part because it hits my personal trifecta of respectful coverage, folkgrass, and 80s alt-rock source material. Check out a favorite track below before purchasing direct from the artists. PS: Want to help support Cover Lay Down in its continued struggle to bring you the best folk and coverage around? Awesome! Here’s some ways you can help! Support the artists we tout by purchasing their work whenever possible! Spread the word to friends and family by clicking “like” on a favorite post! 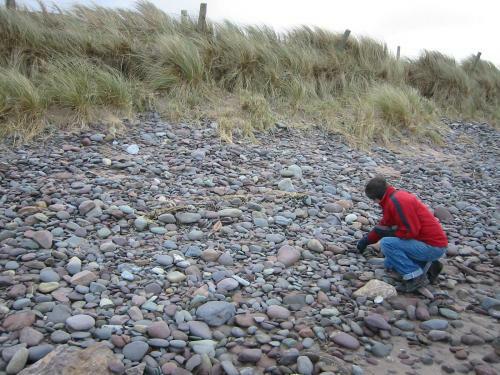 Share the wealth by sending us your own coverfolk finds and recordings! Join our facebook page to keep the folk and coverage coming throughout the week! Donate to Cover Lay Down to help cover our rising server and bandwidth costs! Ever since I chose teaching as a career, Labor Day has been doubly relevant for me: an annual return to the classroom-as-job-site marked by a national holiday in celebration of the organized workplace. This year, however, after leaving a teaching position that just wasn’t working out, and subsequently spending the summer carrying hope from one interview to the next, I find myself in a bit of limbo. Which is to say: for the first time in over a decade, Labor Day looms, and I don’t have plans to be anywhere the day after. The game’s not over yet — I’ve got two interviews tomorrow, in fact, and both seem promising. But the joy that I should have been feeling as we put my daughter on the bus for her first day of first grade today was tempered by uncertainty, and it’s been hard to put it aside to take on the next few drafts down the line. In the name of killing the jinx, then, and because I really should get to bed sooner than usual in order to be prepared, today’s coversongs channel our complex package of cultural conceits about work: having it, hating it, needing it, loving it, and leaving it. Don’t let the size of today’s list scare you, folks: huge and topically sprawling, it is nonetheless a carefully-selected and winnowed-down set of my favorites, from the crazed old-timey house party of Springsteen’s take on Pay Me My Money Down to the driving, countrified folk rock production Melissa McClelland brings to Springsteen’s own Factory, and from the delicate, precious indie retropop of Ephemera’s Manic Monday to Richie Havens‘ surprisingly powerful treatment of John Lennon’s Working Class Hero. 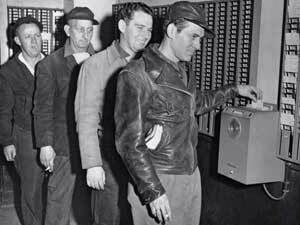 There’s something for everyone today; after all, we all have to pay the bills somehow. So whether you prefer the slow barrelhouse bluegrass of Alison Krauss covering Dolly Parton’s 9 to 5 or the radio-ready bluesfolk of Mark Knopfler’s unfortunately named side project The Notting Hillbillies, Joshua James‘ quiet solo acoustic Modest Mouse cover or Jeb Loy Nichol‘s atmospheric hi-hat driven electro reggaefolk, the pulsing popfolk of Leslie King‘s Pink Floyd cover, the twangfolk of Peter Case doing Merle Haggard, or the true blue bluegrass of Salamander Crossing and Tim O’Brien, enjoy them all, and wish me luck at the interview table. Of course, today’s list would be sorely incomplete without my favorite John Hartford song. If you missed ‘em the first time around, head back in time for a look at two great takes on In Tall Buildings, a perfect, bittersweet song of white collar life and lost summer, from Gillian Welch and The Jones Street Boys. Oh, and as always: if you like what you hear here on Cover Lay Down, please consider purchasing CDs and other merch from the artists we feature. After all, if it weren’t for our patronage, the music makers would be out of a job, too. Cindy Kallet Covers: Dylan, Springsteen, Dougie MacLean, James Taylor, and more! There’s something of the sea in the songs of Cindy Kallet: something of the honesty and intimacy of water and stones and the wild shorebirds, something of the tight-knit communities and strong, silent families of the New England coast she loves so much. It’s there in her lyrics, which speak of the small moments of hope and love and laughter that make life rich and worth celebrating. It’s there in her craft, which combines simple, heartfelt, unadorned elements — a crisp, pure alto, an almost classical guitar sound, the rich harmonies of friends – in skillful, effective ways. And it’s there in her style, which echoes the older folkways of the sea shanty, the Celtic folk ballad, and post-Puritan shape note singing. Cindy Kallet’s music is folk in a traditional sense, unpretentious, unproduced, grounded in place and nature and community, celebrating a simpler life. It is of a particularly New England coastal school of music, of a mind with the work of Gordon Bok and a few select others who spend as much time building boats and serving community as they do performing and crafting songs of simple praise. As a product of and for that place, it contains elements of traditional rural folk ballads and sea shanties, combining them with Appalachian instruments and the trope and formal phrasing of Quaker plainsong. And it sounds older than it is, as if it skipped over the major transformation that folks like Dylan, Guthrie and Seeger brought to the table of American “modern” folk, to pull instead from a strong and uninterrupted tradition of simple music “of the folk” played earnestly and without pretense. In a world which considers such rough-edged confessional poets as Dylan and Guthrie the forefathers of modern American folk music, the “classical sensibility” and delicate phrasing Cindy Kallet brings to her craft can seems like an anomaly. But for all its grounding in the folk sounds, imagery, and culture of the northern American coast, there is also something both more intimately familiar and more elusively original about Cindy Kallet. Kallet is a truly talented and innovative songwriter and performer, one who brings her own uniquely skilled touch to her craft. Her first album Working on Wings to Fly, released way back in 1981, was named one of the Top 100 Folk Albums of the Millenium by Boston folk radio station WUMB. She has earned high praise and admiration from many folk musicians more typically identified with the “mainstream” singer-songwriter folk movement, such as Christine Lavin, Dar Williams, and Patty Larkin, who cites Kallet’s Dreaming Down a Quiet Line as one of her favorite albums. In turn, Kallet cites James Taylor and Joni Mitchell among her influences, and indeed, there is something of James Taylor’s finger styling in her own, something of the phrasing of Joni’s sparser dulcimer tunes in the way Kallet pushes her pure legato voice soaring over her crisp stringwork. But the way she combines traditional and modern elements is truly her own. And the honest, intelligent eye she brings to bear on these elements is incomparable. More than anything else, Cindy Kallet’s music is an overwhelmingly intimate and open experience. But though her music is extraordinarily unadorned, it is anything but simplistic. Kallet’s songs are simultaneously a celebration of the world, and a communion with it. Her way with language, and with emotional delivery, is deliberate and intelligent, carefully wrought to serve what comes across as an almost holy reverence for the small details that make life worth living well. This is serious folk music, the core of the genre. It is simple, without being sparse. It is simultaneously delicate and complete. Every note counts, and seems carefully chosen. It feels like home, somewhere by the sea, on a warm Spring afternoon. I have never heard music that makes me want to listen so carefully. Kallet’s skillful ability to bring together the elements of modern and traditional folk to revere and recreate a particular place and time is paralleled by an ability to bring together others, both as lyricists and as collaborators, to reach an equally powerful communion. As her own songwriting is celebratory, and rich in gentle purpose, the artists and songs she chooses to cover are equally authentic, in tune with the sea and the joy of life lived simply in every moment. This has often meant reaching towards traditional songs of the Irish and British Isles, as in her most recent album Cross the Water, a collection of originals and Irish reels produced with multi-instrumentalist Grey Larsen; it has also meant covering the work of other contemporary musicians, like Gordon Bok and Dougie MacLean, who share her sense of place. And her collaborative work with compatriots Michael Cicone and Ellen Epstein, which produced two incredible albums over a decade apart and will produce a third in May, ranges farther, finding that same sensibility in the working-class community portrait of Bruce Springsteen’s My Hometown, and a gorgeous three-part a capella delivery of Dylan’s When The Ship Comes In. For all its evident craft, Cindy Kallet’s music comes across as egoless and effortless. Even as her songs celebrate the world she loves, she delivers them as if the point of performance were to invest every bit of her energy into helping each song become that which it is trying to be. This is far rarer than many of us would like to admit. Combine this with that sweet, rich alto, a powerful sense of phrasing in service to praise, and that skilled ability to use not only guitars, but the rarer instruments — dulcimer, harmonium — to support her sound, and the end result is an artist who is worthy of the highest praise and celebration. So let us celebrate Cindy Kallet, as she helps us to celebrate the simple things. For all of us need more laughter and joy in honest work and play, more sea and spray in our lives. And this, more than anything, is the soundtrack to that life we dream of. If you’re interested in purchasing Cindy Kallet’s work, the AllMusic Guide recommends starting with Cindy Kallet 2, and both Patty Larkin and I highly recommend Dreaming Down a Quiet Line, though all three of her early solo albums are worthy additions to any folk collection. Parents may also be interested in Kallet’s wonderful children’s CD Leave the Cake in the Mailbox, which won a Parent Choice Gold Award in 2004. Cindy Kallet’s collaborative work comes highly recommended, too. Kallet still tours with Grey Larsen in support of their 2007 release Cross The Water, which I have been enjoying very much. And the trio of Kallet, Epstein and Cicone will release their third CD in May; in the meanwhile, their previous two albums, which are chock full of cover songs, come highly recommended. Just dropped a sprawling post over at “collaborative music blog” Audiography, where this week’s theme is “songs inspired by literature.” It’s not all covers, and some tracks have been posted here already, but head on over for a decent smorgasbord of sound, plus the usual diverse set of on-topic contributions from the rest of the community. My own offerings include a couple of great folkrock takes on Dylan’s biblical apocalypse All Along The Watchtower, reposts of The Indigo Girls covering Mark Knopfler’s Romeo and Juliet and a few great kidfolk tunes by The Chieftains and Moxy Fruvous, and two original versions (produced and live acoustic) of Tell Your Story Walking, a stunning, award-winning song based on Jonathan Lethem’s Motherless Brooklyn, written and recorded by singer-songwriter Deb Talan before she became half of The Weepies. Before you go, here’s a Cover Lay Down exclusive: Jose Gonzalez’ new Swedish indiefolk band Junip covering Springsteen’s ode to The Grapes of Wrath, and a funky countrygrass romp through the world of Lewis Carroll, as filtered through the psychadelic sixties, recorded live at Kerrville Folk Fest a few years back. Back Sunday with yet another tribute to the best cover artists of the folkworld. Enjoy the long weekend! 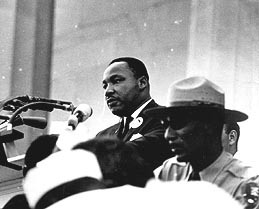 It saddens me how much Dr. King’s I Have A Dream speech continues to resonate today. Sad, too, that so much of the rising generation thinks of today as just another day off. May these few still, small, unsatisfied voices in the wilderness remind us of how far we have come — and how far we have yet to go. 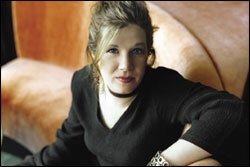 It took me a while to get into Dar Williams. The way she plays with the strong break between her bold lower tones and her breathy upper register is an acquired taste. Her songwriting is generally wry and poignant, but it takes more than one skim-the-surface listen to appreciate its complexity. She tends towards strong, heavy production, which attracts a younger alt-folk crowd, but can overwhelm her well-crafted, literate lyrics. But at her best, Dar is an incredible artist. Her songwriting and her stage presence are so raw and fragile, it’s like what it must have been like to see Joni Mitchell during her Blue period. She picks distinctive, powerful voices for harmony, weaves a rich, complex tapestry to tell her strum and story. Her work is the soundtrack of my soul. Her music is listenable, mature, and strong, and it bears repeating. Dar is flat-out incredible live. I’ve seen her half a dozen times, maybe, and she just radiates good cheer and a cute, puppy-dog-awkward stage discomfort that makes you want to root for her. When she plays Falcon Ridge Folk Festival, she always asks the field to light up their cellphones and lighters all-at-once when she does “Iowa”, and there’s that created moment where she’s just awestruck and gasping, and you cry there in the dark, for the beauty of it all. I was hoping to find a bootlegged copy of Dar covering the Cat Stevens song Peace Train this summer on stage at FRFF with the Slambovian Circus of Dreams. Alas, we’ll just have to go on without it. Happily, there’s plenty of coverlove to put forth, from the sweet, poignant Pierce Pettis cover Family to the urban popfolk ride of the Kinks’ Better Things — both of which Dar makes so much her own I didn’t realize they were covers when I first heard them. Plus great covers of Springsteen, The Beatles, The Band, Nick Lowe, Pink Floyd, and some bonus songs, as always: supergroup Cry, Cry, Cry, a cover of a Dar song by the very first artist we ever featured here on Cover Lay Down, and another cover of that Kinks song. And don’t forget to head back to last month’s archives to pick up Dar’s folkrockin’ cover of David Bowie’s Starman after you’re finished here. Dar Williams has just come out with a new live DVD, which includes a cover of the Grateful Dead song Ripple. Her management usually frowns on pre-release, so buy Live at Bearsville, and the rest of her amazing catalog, and find out for yourself how intimate and powerful Dar Williams can be. Rani Arbo Covers: The Beatles, Springsteen, Holiday Songs and more! Rani Arbo knows good music. As sole female member of New England’s premier folkgrass roots combo Salamander Crossing, she was the stunning, crystal-clear voice behind some of my absolute favorite originals and interpretations of songs from the traditional to the popular. She was also founding member of honkytonk act Girl Howdy, where she lent her crisp fiddle-playing to a fun, authentic group of women that moved on without her before recording a lick. And, since the turn of the century, as the leader of Rani Arbo and Daisy Mayhem, she’s been consistently blowing the minds of those who thought folk-tinged bluegrass was nothing more than country music in disguise. I’ve been lucky enough to have seen this amazing artist in small venues in all three of her musical incarnations. Over that time, I’ve seen Arbo — who originally presented herself as just one vocalist/instrumentalist among several in Salamander Crossing’s first release — grow into a powerful vocalist, arranger, and bandleader, first tentatively, and then with the kind of easy, grinning confidence and control that brings her name to the front of the marquee. There’s a reason why reviewers compared Salamander Crossing’s later work favorably to that of Alison Krauss and Union Station. But since then, as leader of Rani Arbo and Daisy Mayhem — a band which also features fellow ex-Salamander Crossing member Andrew Kinsey and Arbo’s husband, percussionist Scott Kessel — Rani and her cohorts have gone far beyond the simple genre-work of Krauss. From their first release, each Daisy Mayhem album has spanned an incredibly broad spectrum of style, from honkytonk to folk to blues to bluegrass to swing — and with the support of her powerful bandmates, each of whom contributes to authorship, arrangement, and leadership, Rani makes it all work exquisitely. Rani Arbo’s life hit a snag a few years ago when she was diagnosed with cancer just around the time she and Kessel became parents. During that time, Rani stopped touring much, and we moved away from the Northern Massachusetts region that Rani calls home; I haven’t seen her live in a while, with or without her incredible band of musical cohorts. But now, after a four year gap between albums, Rani Arbo and Daisy Mayhem are back in swing. Critics love their newest release Big Old Life, which like their previous ventures, is a solid mix of up- and down-tempo traditional songs, originals, and just plain fun. (It also includes some sweet covers of Bob Dylan and Leonard Cohen songs.) I think you’ll love it, too. Today, a history in covers — both in the hopes that you’ll support Rani and the rest by picking up their catalog, and in celebration of an artist that, like the beautiful and ever-changing musical phoenix that she is, keeps rising from the ashes to shine once again. Listen for a range of musical styles, the playful stretching of a still-evolving musician comfortable in every mode from slow ballad to acoustic swing to the familiar bluegrass style made popular by Alison Krauss. Then listen again. Then buy. And repeat, ad infinitum. One note before we get to the tuneage. There’s a lot of music here today, but only because it was damn hard to keep from posting every song on every album. Instead of just going for the “popular” covers, why not try ‘em all for once? I promise your ears will thank you. Still wavering? To make purchasing easy, I’ve linked each album mentioned above directly to a purchase page at long-time Pioneer Valley folklabel Signature Sounds, which is currently offering their yearly artist sampler free with any purchase. This years sampler includes Winterpills, Crooked Still, new work from previously featured folkartist Peter Mulvey, unreleased Erin McKeown and more! Welcome to Cover Lay Down, folks! Hope you found us okay. 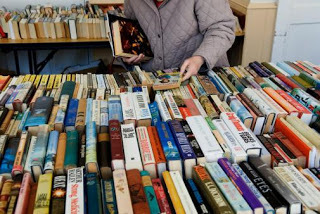 For a short letter of introduction/explanation covering why the world needs another cover blog, and why this just might be it, click here. Our inaugural cover set below trumpets Richard Shindell’s recent South of Delia, a full album of covers released earlier this year. In presenting it, I’m trying to establish a posting template of sorts, wherein posts will include (wherever possible) both a featured cover and one or more bonus covers which are related to the feature in some way. Enjoy the music! Richard Shindell is no stranger to cover songs. Many of the new generation discovered him through Cry Cry Cry, a one-shot folk supergroup which brought Richard, Dar Williams, and Lucy Kaplansky together for an covers album and a short tour a few years back before tension between the two women in the group brought the collaboration to an end. And his cover of Dar’s Calling the Moon gives me shivers. But it says what it needs to, I think, that though Dar was surely the most widely known of the three, Cry Cry Cry only included one song by one of their own members on that single, seminal album — Shindell’s Ballad of Mary Magdalen. Shindell is a singer-songwriter’s singer-songwriter, a member of the same second-gen folk movement that brought forth Suzanne Vega, Shawn Colvin, and John Gorka, and a man who is just as happy to play guitar along with them as he is to share his own well-written songs. He is known among his peers as a slightly shy, somewhat reclusive genius who hides deep insight in a plethora of storysongs ranging in subject and imagery from catholicism to the refugee’s plight. Ask any folksinger of a certain age to list the ten best lyrics they’ve ever heard, and you can bet Shindell’s work will be up near the top. So many of us were left scratching our heads when we heard that his next release would be a full set of covers. And wondered, as well, what was up with the lack of press, and the release on the living-room label “Richard Shindell Recordings”. Was this merely a labor of love? Naysayers fear not: South of Delia is a rich tribute indeed. Shindell manages to reassess and reimagine a broad set of tunes, bringing a new poignancy to deepcuts from the familiar (Dylan’s Tales of Yankee Power, Peter Gabriel’s Mercy Street, The Band’s Acadian Driftwood) to the neofolk (the Josh Ritter and Jeffrey Foucault covers are especially well done, and let me say here: it takes both guts and grace to cover the younger generation, and to do it well.) His choices of song well fit his own songwriter’s bent, telling tales of the downtrodden, the refugee, the lovelorn, the lost — an especially masterful tactic in the case of songs which were, in their original form, produced to emphasize music and mood more than lyrics. But don’t take my word for it. Here, take a listen to the deep yearning for place and racial acceptance Shindell brings to Born in the USA, which many folks consider Bruce Springsteen’s least meaningful song. I promise you’ll never hear it the same way again. 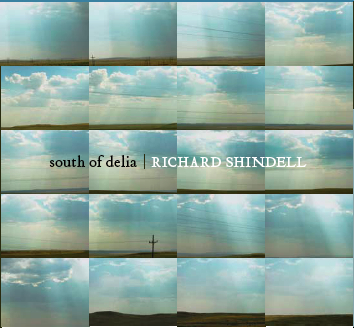 South of Delia is Shindell’s first album on the “Richard Shindell Recordings” label. You can get it in the usual places, but I prefer purchase through the artist websites whenever possible, so buy Richard Shindell’s South of Delia here.